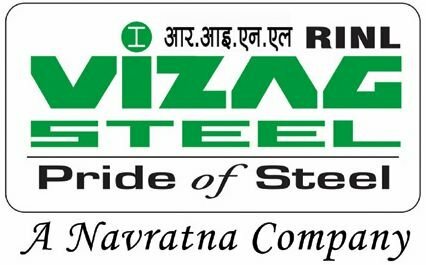 Rashtriya Ispat Nigam Limited (RINL) Recruitment Notification 2018.RINL inviting applications for the positions of Jr. Trainee.Interested and Eligible candidates can apply for the positions. Branch wise vacancy details are given below. Matriculation/SSC with ITI diploma in engineering in the above branches can apply. Minimum age for applicants to apply is 18 years, maximum age for UR is 27 years, OBC is 30 years, SC/ST is 32 years. During training candidates will be paid Rs.10,700/- and training they will get Rs.12,200/- per month. Through online computerized test followed by medical examination & verification of documents candidates will be recruited. 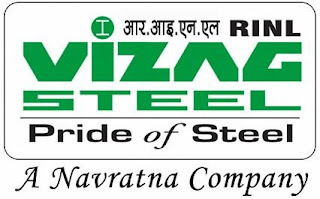 Candidates from 05th September 2018 to 25th September 2018 may submit online application forms for Vizag Steel Plant Recruitment 2018.
https://rinl.onlineregistrationform.org/VizagST/ candidates can submit application forms. Application fee for General/OBC candidates is Rs.300/- there is no fee for SC/ST/PwD. Candidates have to attend computer based test of two segments. Segment I is for 75 marks, Segment II is for 75 marks. Duration of exam is 2 hours. Segment I contains questions from general aptitude, general awareness/general knowledge and knowledge of English. Segment II is about of Technical subjects.